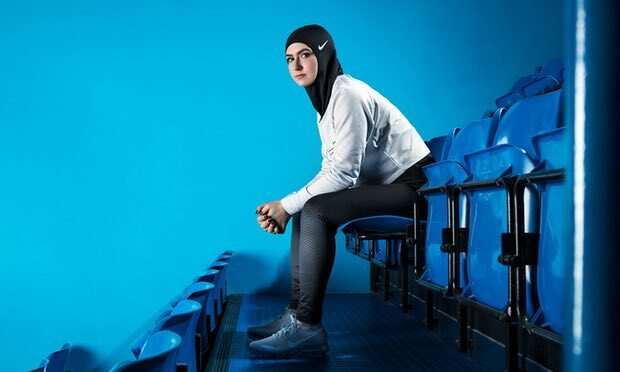 Nike has announced that in 2018 will launch a breathable hijab, specifically designed for Muslim athletes, who are not confortable with traditional ones during competition. The launch is backed by data: 23% of the world population is Muslim, with 243 $ billion spent on clothing. Nike strengthens once more its brand and executes to perfection its marketing strategy, driven by its tagline “Just Do It”. First people, then products. Nike USP is related to sport values and offers everything you need to feel better about yourself, empowering you to succeed and feel strong. Work on people’s needs, both implicit and explicit. Do you want to feel good about yourself, play sports, and you can not afford or do not feel comfortable in a gym? You have little time, sometimes only 15 minutes other 45? Nike offers its the free app – Nike Training Center- where your smart coach creates your personalized plan, inspires you, encourages you and guides you by voice in the workout. Whatever your size, age, religion you can achieve your goals. You can succeed. Nike, like Dove, works to include real people who want to feel good about themselves and need to belong, to feel good. No one excluded. It happens that Nike sells sport clothing and equipment.